Bangkok ( VNA/ NNT) - The Thai Ministry of Commerce has held a meeting in Cambodia’s Battambang province to promote border trade between the two countries. 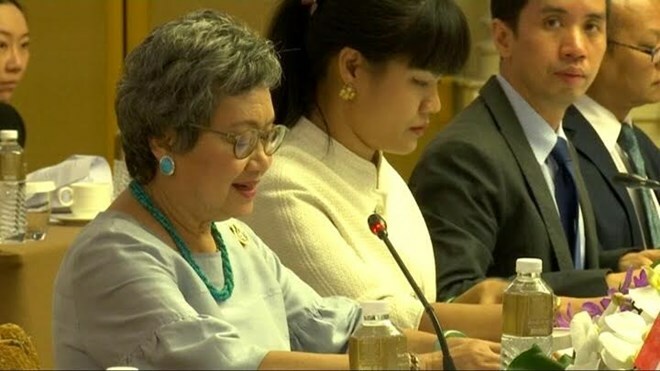 Commerce Minister Apiradi Tantraporn said that the Cambodian side expressed interest in creating border trade networks with Thailand and other neighbouring countries. In addition, Cambodia invited Thai businesses to invest in the souvenir business to accommodate expected tourism growth in Battambang province. Cambodia also held a border trade exhibition featuring 150 products. Sales at the event totalled 25 million THBN while future orders are expected to top 40 million THB. Notable products include food, beauty and spa products. Meanwhile, Thailand’s Chanthaburi province played host to the signing of a memorandum of understanding with Cambodia’s Battabong and Pailin provinces to support trade and investment in services, and exchange training programmes that boost border trade.